This imposing gate once formed the entrance to the main courtyard of an urban middle-class family compound. The four-character panel over the doorway reads, Humility Brings Prosperity (Lüqian Jianfeng 履謙漸豐). The gate demonstrates the hallmarks of traditional Chinese architecture: a post-and-lintel structure that supports a graceful gable roof and intricate rafters, as well as brackets that extend the eaves and provide decoration. 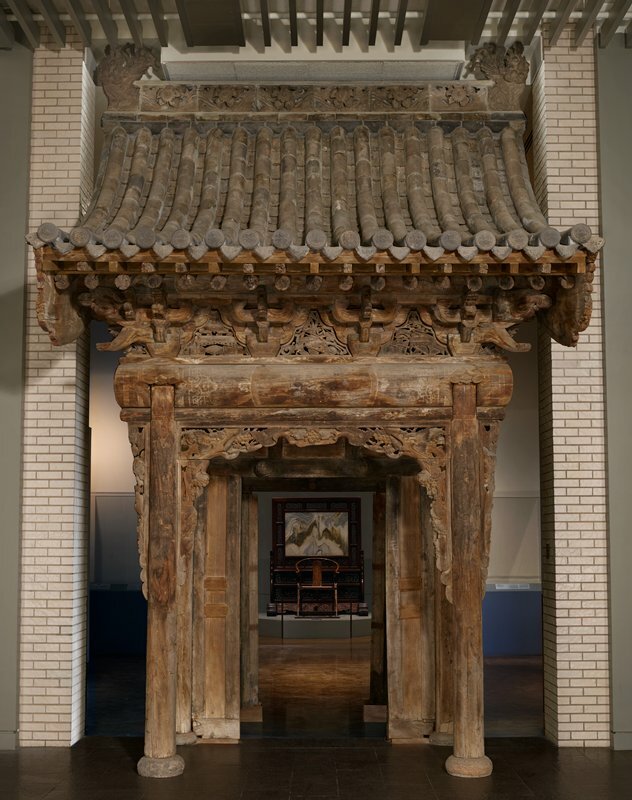 Like other works of traditional Chinese architecture, no glue or nails were used, and the gate was assembled using only joinery and wooden pins. The gate comes from Shanxi province, which, because of its dry climate, contains the largest concentration of surviving historic wooden structures in China. An inscription on the main beam dates the gate to 1858, during the Qing dynasty (1644–1912). This was one of Mia's top highlights in 2018.